Instead of a winter slowdown, many Ottawa real-estate agents experienced a sales spike over the past two months as homebuyers rushed to seal deals ahead of new mortgage rules that kick in Jan. 1. The new rule puts a mortgage "stress test" on uninsured homebuyers putting more than a 20 per cent down payment on their next home. This stress test assures banks that borrowers would be able to make their mortgage payments if interest rates climb. The numbers for December aren't yet in, but according to the Ottawa Real Estate Board (OREB), 1,239 homes were sold this past November, a 25-per-cent increase over the same period last year. The average sale price over that period was $418,354. "There's no question we got a bump since it [the stress test] was announced," said Frank Napolitano, a managing partner at Mortgage Brokers Ottawa. He pegs the increase in business at about 15 per cent. That's unusual, he said, over the slower fall and winter months. As of Jan. 1, 2018, all homebuyers will need to qualify at the rate negotiated as part of their mortgage contract plus two per cent, or the average five-year posted rate of 4.89 per cent — whichever is higher. The majority of the people calling Napolitano are second- or third-time homebuyers who are worried they will no longer be able to buy the bigger property they wanted, he said. 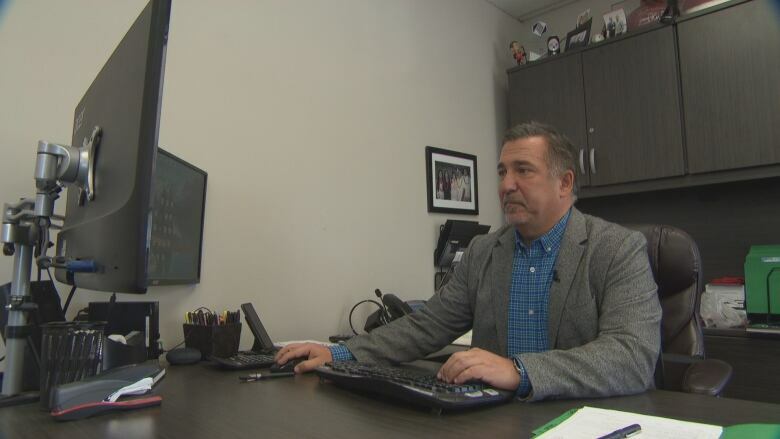 Frank Napolitano, of Mortgage Brokers Ottawa, says about 10 per cent of his clients would have failed the new mortgage stress test. "The people most impacted are the ones trying to go up a level. They're going from their townhouse to their single home and are having to spend $100,000 more," said Napolitano. According to Napolitano, his brokers have been "stress testing" their customers ahead of the new rules, and found that 10 per cent of them wouldn't pass the stricter rules. "They're disappointed, but feel they can work with that lower amount, but it just means they will have to give up something in their next home." OREB president Ralph Shaw said agents in his office were working on Boxing Day to close deals. But with tougher regulations just around the corner, he expects the local real-estate market to cool in 2018. The average price of a home in Ottawa is around $450,000, said Shaw, but he warned the stress test will affect sales in the luxury market. "On a $100,000 worth of income, for a normal family in Ottawa, before the changes they qualified for $725,000 with 20 per cent down. Now they only qualify for $570,000. On the higher end it's having a dramatic impact," said Shaw. And while the new stress test ensures banks will get paid, the policy deters consumers from shopping around for better lending rates when they renew their mortgage, he said. "To move from one bank to another rate, you're going to have to qualify under the new rules, so therefore it helps the banks to [retain] their existing business without the force of competition."